The companies that are truly flourishing these days have streamlined their processes relating to their adoption and use of technology in the workplace. Making use of digital documentation, with efficient file conversion and creation processes is one of the best ways to move your company in this direction. If you use any files for record-keeping at all – be it TIFF, PDF, JPEG – you should make an up-front investment in professional file conversion software for maximum efficiency. It is almost certain to pay off, long-term, and allow your company to work faster, smarter, and more efficiently. If, like many other companies and individuals, you’re already thinking about the ways that moving some of your daily record-keeping to digital formats, then you’re ahead of the game. With proper naming structures and organizations, digital files can prove to be more easily searchable, discoverable and useful. Think of not only the reduction in time spent manually filing and searching for documents – but also, the intelligence that working with digitized data can provide. PEERNET offers a wide range of file conversion software solutions that fit this mold of improving your company’s efficiency. Before we get into exactly how these can help your overall objectives of working faster and smarter, here is an overview of the main tools we’ll be focusing on. PDF Creator Plus Allows you to combine, edit and merge Windows documents into a PDF file. The perfect fit for individual users or companies that are looking for a more cost-effective alternative to software such as Adobe Acrobat. PDF Image Printer A virtual printer that allows your staff to turn any printable Windows document into a PDF, with the click of a mouse. A good solution for individual users and companies, large and small, who have a need to convert various types of documents to PDF format. TIFF Image Printer In the same fashion as PDF Image Printer, utilizes the Windows “Print a Document” prompt to quickly and easily create TIFF files. Suitable for companies or users who need a simple way to convert TIFF files, easily and on-demand. Raster Image Printer Incorporates the functionality of both PDF Image Printer and TIFF Image Printer, as well as the ability to convert files to JPEG in the same manner. Ideal for organizations who utilize both PDF and TIFF on a regular basis. Document Conversion Service A full-featured, automated batch document conversion solution which is capable of converting documents in the background, 24/7. Built for organizations who have an ongoing need for file conversion from and to a variety of document and image formats. Widely used by enterprise-level organizations. Now that you’re familiar with some of the tools available, let’s take a look at how they can actually benefit your company’s productivity, and therefore, its bottom line. Spend way less time on the actual conversion process, and more time on what matters to your company. They simplify your process. Established processes can save your organization significant time and resources, so if you’re converting customer records, receipts, or anything of the like into PDF or TIFF, it helps to have that process in place. Choosing and using the right file conversion software can be the main cog that your process is built around. They allow you to use saved setting profiles. So you can set your preferences once and use them on an ongoing basis, rather than fiddling around with your output settings every time you convert a file. This takes a lot of the hassle out of file conversion. They minimize training time. All but the highest-end professional document conversion software like that provided by PEERNET is designed to be very user-friendly. Our line of image printers, for example, requires only that the user is capable of printing a document – not much to ask, in this day and age. Use single-purpose virtual printer tools to wean your business off paper and maximize efficiency. Sometimes, the easiest solution is the smartest one. If you just need to start down the path of reducing your company’s dependence on physical printers, then implementing virtual printers is a terrific way to get started. Reducing your use of printers, and therefore paper, is one of the easiest ways to start working smarter. Our line of image printer products makes the transition painless. Built for speed and ease-of-use, replacing some or all of your physical printer usage with virtual printers save your company time, resources and money. Use a smarter choice for PDF creation. Lower Cost, Same Great Functionality. Our PDF Creator Plus software allows you to create PDF documents from scratch by editing, merging or combining other Windows documents into a PDF file. Its core functionality is quite similar to that of Adobe Acrobat, but it is priced at a point that makes it accessible for everyone, including individual users at home, or small companies. The type of outputted PDF files created are vector files, which means that they make use of actual text characters rather than just graphical representations (raster files). That format of PDF file can save you and your colleagues significant time in finding information that you need. Plus, despite its product name, it allows you to use the same functionality to create files in different formats: you can also create TIFF, JPEG, Windows BMP images, and placeable Enhanced Metafile (EMF) files. For combining multiple files into a new PDF document, there’s nothing faster and that, combined with its lower cost to your company, makes it the smart choice. Use one conversion solution that works for a number of formats. Provides the flexibility to use the format you need at any given time. Some users and companies know that they need to start using digital documentation, or move further towards that direction, but aren’t exactly sure what file format they’ll be using in the future. Other organizations require the flexibility to convert documents to a range of different formats. In either case, Raster Image Printer serves as the ideal solution. On its own, it can replace several tools. Whether you need to convert to TIFF, convert to PDF or convert to JPEG, Raster Image Printer can do it fast and efficiently – freeing up your employees or colleagues’ time and resources. For maximum efficiency, you can completely automate the process. Automated batch document conversion: What could be more efficient than a solution that converts files in the background, 24/7? PEERNET’s Document Conversion Service is the ideal way to achieve this. Suitable for organizations of any size that have a need for ongoing file conversion, but commonly utilized by companies that are large in scale, Document Conversion Service is primarily an enterprise batch file converter that is trusted and relied upon by companies around the world. If you have a large amount of files that need regular conversion, Document Conversion Service truly makes your company’s operations as efficient as possible – the smartest and quickest way to get a handle on your file conversion needs. Working smarter at the office can give you the narrow edge you need to beat out the competition. The gap between companies is often narrow, so don’t let document conversion drag you down – use PEERNET products to help your company thrive. 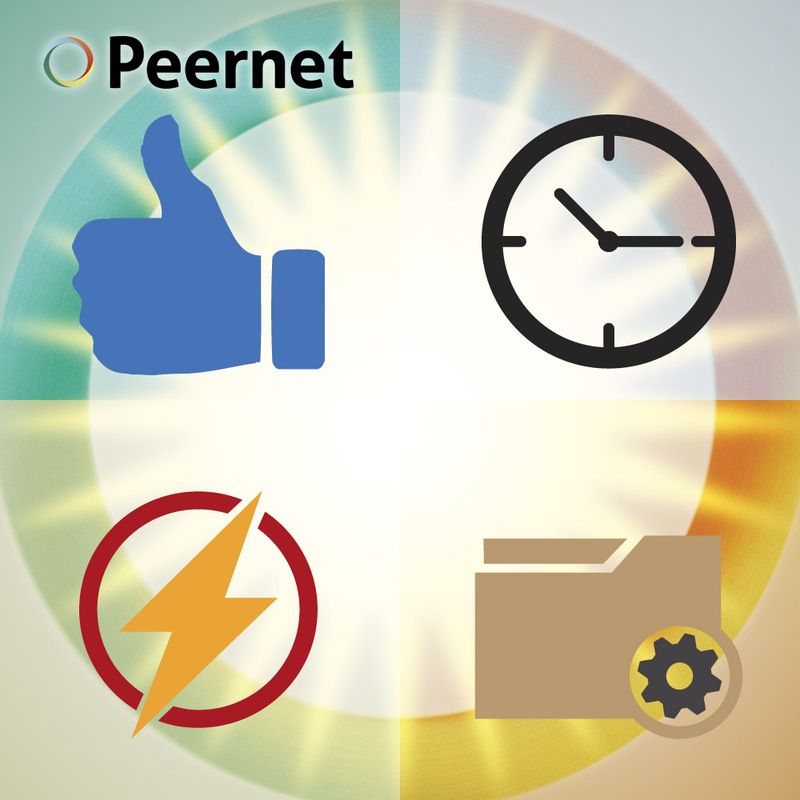 Still not certain which PEERNET offering will most help your company’s productivity? Please take a few minutes to watch the short video below, which should help sum it up for you. And if you still need a hand to get your productivity on track, please feel free to contact us. We’ll help you out by letting you know which product is really right for you.